Di dalam bukunya yang berdimensi luar biasa lebar, mewah, pake kertas yang licin dan full ilustrasi ini, mbak Sangeet Duchane menjelaskan bahwa sejarah Priory tak terlepas dari HOLY BLOOD HOLY GRAIL, terbagi menjadi 3 periode klaim pendirian, dan dimulai dari sebuah organisasi bernama Alpha Galates, yang juga telah disinggung secara ringkas oleh Jim Marrs dalam bukunya RULE BY SECRECY. Berikut ini kutipan dari teks aslinya. Most of information about the Priory of Sion appears to come from the Holy Blood, Holy Grail by Michael Baigent, Richard Leigh, and Henry Lincoln. In fact, Brown is so impressed by these authors that the name of his villain in the novel, Leigh Teabing, is probably based on their names; Leigh is from Robert Leigh, [Catatan saya: teks aslinya memang Robert Leigh, mungkin mba Sangeet Duchane atau editor bukunya salah ketik. Yang benar Richard Leigh.] and Teabing is an anagram of Baigent. Their 1982 book was an international best-seller and received both acclaim and extensive criticism. In 1956 a modern organization by the name Prieuré de Sion was formed in France, and in the 1960s information purporting to be about that organization was placed in France’s Bibliothèque Nationale. Most of the information is contained in the “Prieuré documents” written under blatantly false names and with nonexistent publishers. In some cases the writer or writers have apparently taken news about mysterious death and worked them into the Priory story, trying to give the impression that the Priory is surrounded by intrigue. Nevertheless, these documents form the primary “evidence” to support the theories of Holy Blood, Holy Grail, and consequently The Da Vinci Code. The authors of Holy Blood, Holy Grail admitted that the documents in the Bibliothèque Nationale could have been faked, but said they believed the story was true. Nonetheless, their researches led them back to one person as the source of the stories about the Priory and related legends. Plantard’s character was called into question when it was revealed that far from being the Resistance-supporting patriot of World War II that Baigent, Leigh, and Lincoln had represented him to be, Plantard had been an ultraconservative supporter of the Vichy regime and the Nazis during the war. In 1940 he wrote a letter to Field Marshall Pétain, the French Head of State in Vichy, under the name Varran de Vérestra. The letter urged Pétain to end “the war started by the Jews” and “put an immediate stop to this terrible ‘Masonic and Jewish’ conspiracy.” He warned Pétain that a revolution was imminent, and claimed to have a hundred men under his command who would fight in response to orders from Pétain. Pétain was sufficiently concerned by the letter to have the writer investigated. A 1941 police report revealed that the writer was Pierre Plantard, a twenty-one-year-old who lived with his mother in a two-room apartment in Paris. His father, a butler, had died in an accident and had left a small income to his wife, on which she supported herself and Pierre. In 1937 Pierre had helped to form an anti-Semitic, anti-Masonic organization of about one hundred members. Plantard boasted of having links to numerous politicians and was believed to run more or less fictitious groups in hopes of attracting government attention. The police dismissed Plantard as an unstable attention seeker. In 1956, Plantard and a few associates formed an organization called the Prieuré de Sion, the Priory of Sion, which has named after a nearby hill called Mont Sion. Its purpose was to support an opposition candidate for the local council elections, and to advocate on the issue of low-cost housing. [8. Paul Smith, “Pierre Plantard Profile” (1956) http://priory-of-sion.com/psp/id84.html] The organization was disbanded when Plantard was arrested again, this time for “détournement de mineurs,” or corruption of minors. He was convicted and served another year in prison. After 1960, Plantard revived the Priory of Sion, claiming it was created by Godfroi de Bouillon in the eleventh century. This story may have been influenced by a tale told by Roger Lhomoy, the former warden of the château of Gisors, where a treasure was supposed to have been found. When French researchers contacted the original 1956 members of the Priory, none of them knew anything about the ancient origins or any of Plantard story. [9. Paul Smith, http://priory-of-sion.com/psp/id78.html] Around this time, Plantard met Noel Corbu, who would inspire him to launch his new career as pretender to the throne of France. In 1989 Plantard tried to stage a comeback as the Grand Master of the Priory, claiming that the Grand Master between the death of de Chérisey in 1985 and 1989 was Patrice Pelat, a former close friend of Françhois Mitterand, who had just committed to suicide because of a financial scandal. Plantard fabrications came back to haunt him in 1993, when an investigation was instigated into the death of Patrice Pelat and the securities scandal that precipitated his suicide. Because Plantard had claimed Pelat was a Priory Grand Master, he was called as a witness, detained, and questioned for forty-eight hours. His house was searched, and several purported Priory documents were found that called Plantard the “true King of France.” Plantard admitted that he had invented the whole story, and the investigating judge reprimanded Plantard for playing games and released him. That seemed to be the end of the game for seventy-three-year-old Plantard, who never claimed to be connected to the Priory of Sion again. He died in 2000. 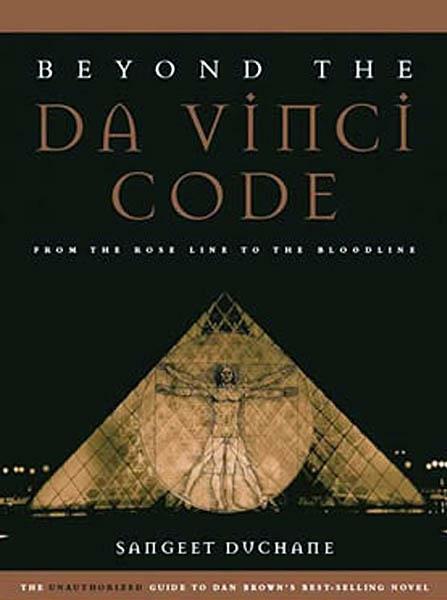 Dikutip dari Sangeet Duchane, BEYOND THE DA VINCI CODE: 128-135, dengan beberapa penyesuaian dan pemotongan. Perhatikan, kalimat-kalimat dalam [ ] merupakan catatan kaki dari teks asli, dengan nomor urut sesuai teks aslinya, atau catatan dari saya (pengutip) yang tidak terdapat dalam buku aslinya, sedangkan tanda … adalah sub bab maupun paragraf yang dilewati (dipenggal).